Replacement blade with 8 cutting points.Fits Stanley 10-218, 10-151 snap-off blade knives and most other 18mm snap-off blade knives. Replacement blade with 8 cutting points. 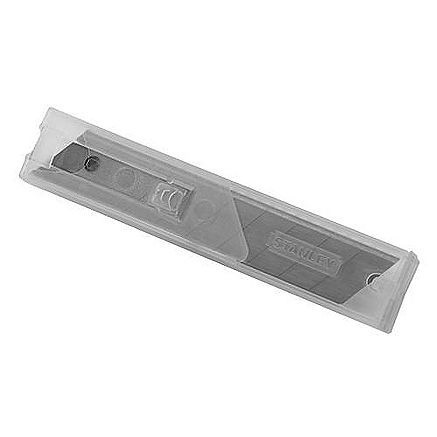 Fits Stanley 10-218, 10-151 snap-off blade knives and most other 18mm snap-off blade knives.